Teaching: The Department of Philosophy strives to offer a diverse, balanced curriculum incorporating Eastern and Western philosophical traditions that meets international standards while maintaining national and regional relevance. The undergraduate curriculum aims to give students a strong liberal arts education, to prepare them for advanced work in philosophy, and to train them in critical thinking and written and oral communications skills applicable to a wide variety of professions. The graduate program provides advanced training in specialized areas of philosophy, with the goal of preparing students to undertake rigorous independent research. In addition to the undergraduate and graduate programs in philosophy, the department’s faculty is strongly committed to CUHK’s general education program. Approximately half of the Department’s teaching is devoted to general education courses, and members of the department have been deeply involved in exploring and clarifying the ideas of a general university education. These activities have helped the department to accumulate extensive experience in humanities education while taking an active part in defining the overall educational aims and the image of the Chinese University of Hong Kong. Research: The department seeks to foster outstanding research in a variety of philosophical fields, such as analytic philosophy, Chinese philosophy, phenomenology, social and political philosophy, and theoretical and applied ethics. In view of its unique cultural and historical heritage and geographical location, the department emphasizes Chinese-Western comparative philosophy as a central theme for research and scholarly activity, thus contributing to the Chinese University’s aim of promoting the study and modernization of Chinese culture. Scholarly Exchange: In addition to its teaching activities, the department promotes research and learning by sponsoring a variety of scholarly ventures and activities, including research centers, conferences, academic exchanges, public lectures, and publications. 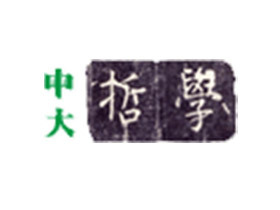 The department seeks to capitalize on its unique cultural and historical heritage — and on Hong Kong’s status as a cultural and commercial nexus between East and West — by taking a prominent international role in promoting Chinese-Western comparative philosophical research and scholarly exchange, thus maintaining its tradition as a leading center for research on Chinese and comparative thought.